Victory at Sea is a 26-part World War II documentary series that first aired in 1952-53. 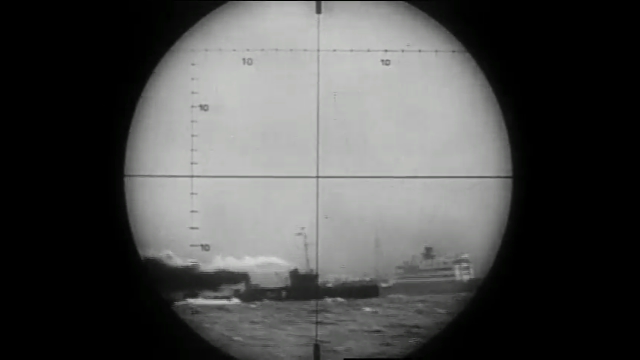 Each 30-minute episode focuses on an aspect of naval action during the war, from convoys and submarine warfare to aircraft carriers and battleships. The filmmakers, in producing the episodes, reviewed more than 13,000 hours of footage from American, British, German, and Japanese archives. The copyright for the series was not renewed and it subsequently fell into the public domain. Aeolus 13 Umbra has created a YouTube channel dedicated to the series where all the episodes were uploaded. The complete list with links to each episode is featured below. The score by Broadway composer Richard Rogers has been widely lauded as a masterpiece; however, the orchestrations and additional music by Robert Russell Bennett contribute more than a lion’s share to the final work. 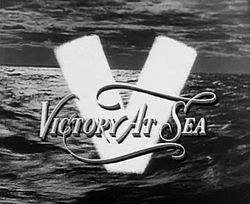 While firmly rooted in time as a relic of its era, Victory at Sea nonetheless achieves a sort of timeless quality by carefully avoiding any breakaway to a host or comment about a then-current news item in 1952. All footage in the series comes from combat and news footage from the war. The narrator, though providing a booming, patriotic news anchor delivery typical of the era, nonetheless takes surprising turns to the somber when it comes to the cost paid in human life by both sides in the war. It is too easy to dismiss old documentaries like Victory at Sea as being less than reliable in its reporting, but I found that not to be true in this case. All the basic facts are accurate and the episodes are too short to focus on political subtleties. This is a primer for those who want an overall look at naval combat during World War II, as well as for social historians looking to see how America viewed itself, and the world, only seven years after the second war to end all wars. Let us hope we will not see a third. At the start of World War II, the German U-boat presents an existential threat to an unprepared England. Convoys from the United States and Canada navigate the treacherous North Atlantic sea lanes to resupply England, and become easy prey for the U-boats. American economic sanctions against an expanding Japanese empire result in a preemptive strike against Pearl Harbor, Hawaii. Despite devastating losses, the United States gears up for war. Although the United States Navy and Merchant Marines suffer great losses to U-boat warfare in the Atlantic, the convoys continue. Hong Kong, Singapore, and the Philippines fall to Japanese forces while the United States draws a line at Midway. While Germany and Italy blitz across the Mediterranean, the British forces on the Rock of Gibraltar and the island of Malta stand fast and resist the Axis tide. 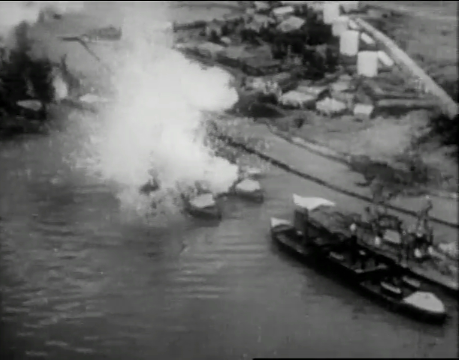 U.S. forces invade Guadalcanal with the goal of capturing Japanese airfields. A brutal campaign ensues. Japanese forces in the Solomon Islands are slowly picked off by U.S. forces leading up to siege of Rabaul. The Italian Navy campaign to exert their rule over the Mediterranean Sea and support the campaigns in North Africa is resisted by determined British forces. As Algiers and Casablanca become the Allies’ next targets, British forces from Egypt move West across North Africa and Axis forces are caught in the middle. In the Battle of the South Atlantic, German battleships, cruisers, and U-boats move to stop Allied convoys from South America to North Africa. Action in the brutal weather of extreme Northern environments is featured with Allied resupply efforts to Russia via Murmansk and Japan invades the outlying Alaskan islands. After defeating Japanese forces at Midway and Guadalcanal, the United States Navy turns towards Japanese forces dug in at the Gilbert and Marshall islands. 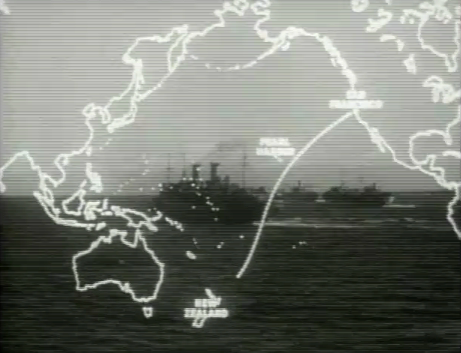 Japanese forces are expelled from New Guinea while Allied forces move to protect the important base Port Moresby. A sad coda to this episode features a touching and sympathetic tribute to Japanese soldiers, sailors, and airmen who died in battle. In such ways, repeated throughout the series, Victory at Sea gives voice to the victims of war — both civilian and military — who perished in this horrible conflict. After victory in North Africa, the Allies invade Sicily and then Italy. A brutal campaign ensures before the fascist Italian government falls and the noose around Germany tightens. Operation Overlord, the largest invasion in history, determined the future of Europe, and history. Many young men hit the beaches with high odds of never coming back, and many did not. 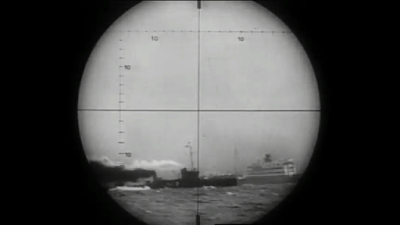 After D-Day, German U-boat wolf packs continue to prey on Allied convoys, but new ships, technology, and tactics put an eventual end to the undersea threat. In order to reclaim Guam, occupied by the Japanese for three years, American naval forces prepare to invade. The Japanese Navy moves to intercept the U.S. fleet and the infamous Marianas Turkey Shoot ensues with American fighters devastating Japanese air power. The Japanese fortified islands of Pelelui and Anguar in the Palau Island chain offer the last line of defense before American forces closing in on the Philippines. 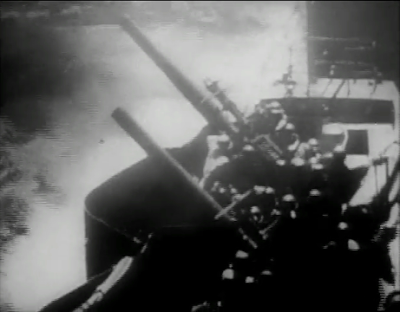 A last ditch effort by the Japanese Navy to defend the Philippines from a U.S. invasion, the enemy fleets meet at Leyte Gulf for the largest naval battle of World War II. 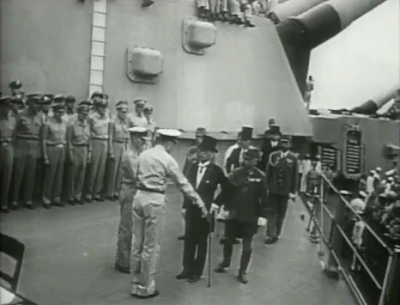 General Douglas MacArthur makes good on his promise to return to the Philippines. Following action at Luzon, American forces work their way North and dislodge Japanese forces from the islands. 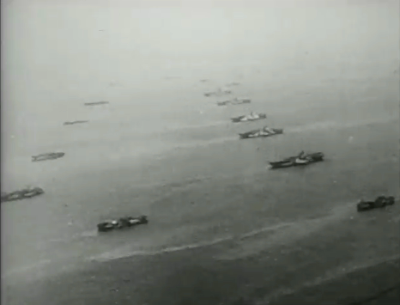 The loss of the Philippines puts the American fleet closer to striking the Japanese mainland. The American submarine fleet’s role defeating the Japanese Empire is reviewed in this episode. Attacking convoys and defending crucial bases, American submarines in the Pacific War were an essential element of Allied success. The cost paid in lives on both sides, however, is high. The war with the Nazi Third Reich comes to a bitter end as formerly occupied nations are liberated and Allied bombing takes a heavy toll on German cities. As the Allies decide the fate of Europe, Hitler commits suicide and the Thousand Year Reich ends after just 12 years in power. The small, heavily fortified island Japanese-occupied island of Iwo Jima becomes the focus of US Navy. Once secured, Iwo Jima will serve as a base for bombers and naval forces to strike the Japanese mainland. The Japanese put up a brutal and determined resistance before U.S. Marines can raise the American flag on Mount Suribachi. Allied forces in China, Burma, and India were often out-numbered and/or ill-equipped during the war. Determined forces led by capable officers and supported by local populations oppressed by the Japanese eventually succeed in dislodging the Imperial Army after years of effort in this little known theater of war. As the Battle for Okinawa unfolds, the Japanese unleash one final desperate weapon — the Kamikaze. The final episode opens up with a somber reflection of the aftermath of the nuclear bombing of Hiroshima and Nagasaki. The war comes to an end. Millions return home and millions do not. Europe and Japan will be rebuilt. Adolf Hitler: A Rhetorical Analysis: Hitler’s extraordinary public speaking skills are analyzed. Audio Documentary: News from the Front: Memories of a World War II Refugee: My mother, Maria Sartorio, grew up in Sicily during World War II. A family friend, Frank Neutts, served as a stenographer under General Fred Walker during the invasion of Italy. Together, they present a “ground view” perspective of World War II in Fascist Italy. Hitler: The Whole Story (1989): This classic biography of Adolf Hitler runs nearly two and a half hours and gives a close look at the dictator. Hitler’s youth, service in World War I, and the influence of Nazi ideology on German society is explored. Photo: Unknown Italian Army Unit Circa Early 1940s: A visit to my mother’s childhood home in 2015, some 60 years after she lived there, results in the discovery of a long-lost photo of my grandfather with his Italian army unit during World War II. The Nazi Seizure of the German Peoples’ Community: This historical essay explores how the Nazi party dominated a small community by using social structures, local government, and cultural traditions to further its agenda.